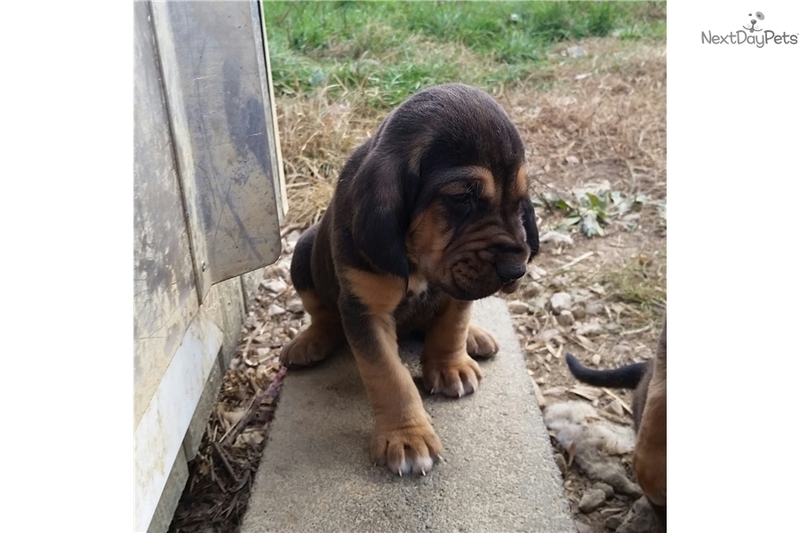 This Bloodhound nicknamed Flynn sold and went to a new family. AKC grand champion bloodlines, as well as working bloodlines. Family raised. Willing to ship. Both parents on site.